Soon thereafter I signed up for my MPH degree and started taking classes concurrently with my medical studies. I have never regretted that decision. From that time forward I have tried to straddle the parallel worlds of clinical medicine and public health. And as the years have gone by, my guess on what will be important in our world has been confirmed time and again. Several core areas of public health and preventive medicine that I work in – disease prevention through lifestyle medicine, and health system organization, are even more important today than when I made my first decision almost 50 years ago. Loma Linda continues preparing professionals to work on the leading edge of both of these issues, along with community and global health, nutrition, epidemiology and all the other areas that make public health work. Our School of Public Health is now undergoing a major reorganization to keep pace with the rapidly changing needs of public health. The school is now organized into three interdisciplinary academic centers; Community Resilience, Leadership in Health Systems and Nutrition, Healthy Lifestyle and Disease Prevention. While we have always recognized the need for collaboration to make effective change occur, most schools continue to organize themselves along traditional discipline lines. Our school has embarked on a bold endeavor to redraw those organizational lines and group disciplines around functional areas and outcomes. At the same time, the rest of Loma Linda University Health is also undergoing a major reorganization. This country is calling for more efficient health care, evidenced-based clinical decisions, and a new level of integration and coordination for each patient’s care and overall health. To make this work, we need public health experts of all stripes and backgrounds. We need to embed them all the way from management to clinical evaluations and lifestyle counseling, to community organization and population health. And we can’t forget the incredible needs in global health. Your time, our time, has come. Our planned San Bernardino Campus will be an excellent training ground for our current students. Providing both a clinical base and educational programs in the center of San Bernardino, this endeavor into our neighboring city, with all its needs, is ready made for public health faculty and students to learn and refine their interests and skills. Loma Linda has been blessed with this opportunity to engage with the local community at all levels. Our reputation has opened these doors and many are waiting for us to take their hands and walk with them into the future. 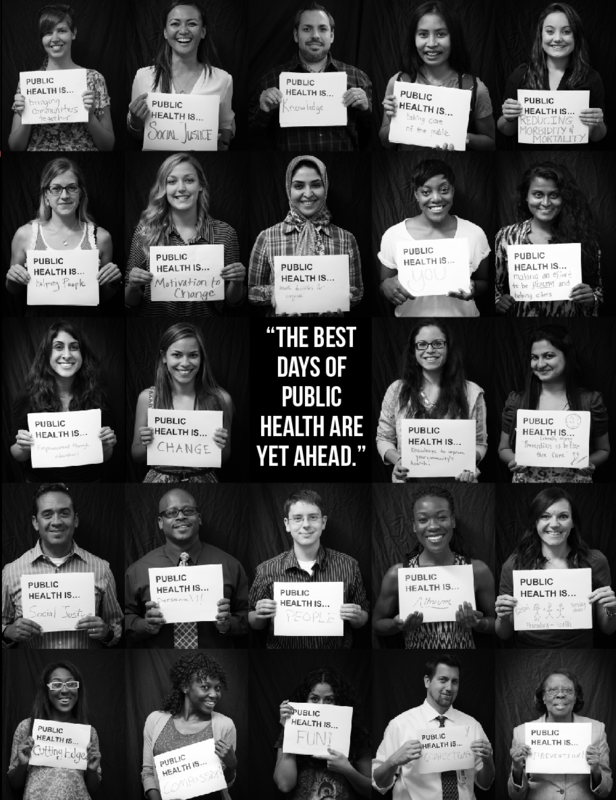 The best days of public health are yet ahead. Join me in embracing these opportunities for using our expertise to the fullest extent to improve the world’s health.